We’ve explored miniature abandoned cities displayed amid real abandoned buildings, but street artist EVOL takes this concept to a whole new level. Rather than 3D sculptures, EVOL’s urban art includes entire cities created using building and window stencils on stone walls. 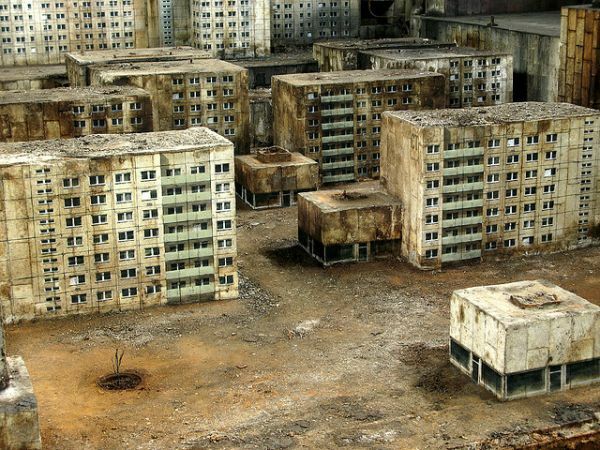 The results are mesmerising, and look eerily similar to the ghost city of Pripyat, Ukraine.